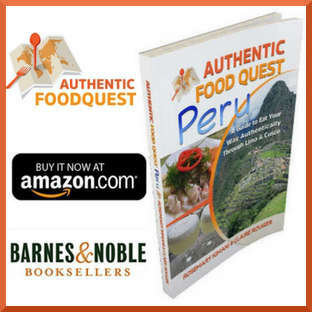 One of the best ways to learn about a person’s food and culture is to step into their kitchen. Food is how people show love for their families, friends and respect and hospitality to strangers. When people come together over food, there is peace. And when you ask someone, “how did you make this? “What’s your secret?”, differences in culture, religion, and social status cease to exist. 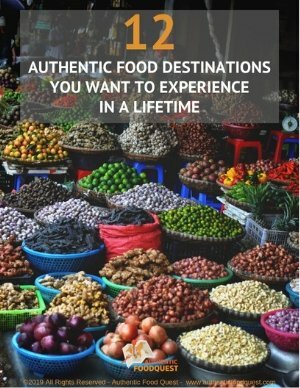 In our previous article how to travel through unique and authentic cooking classes, we introduced you to The League of Kitchens. 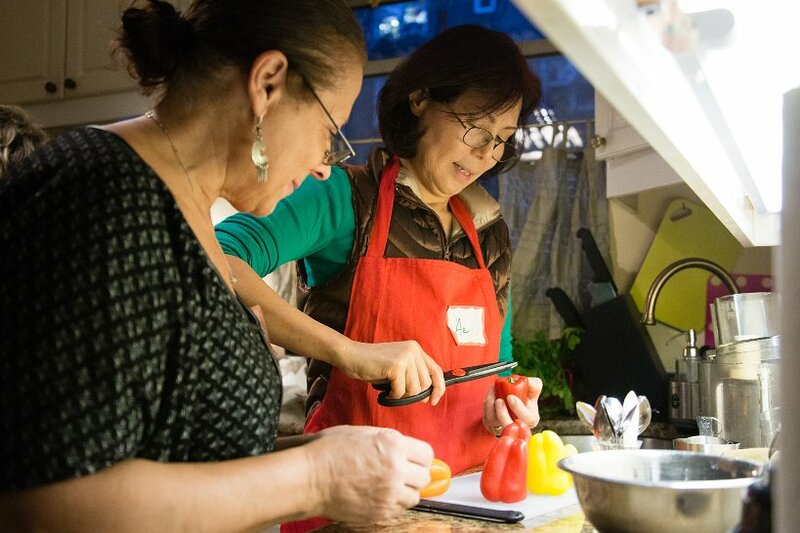 Based in New York City, it is an immersive culinary experience where immigrants teach intimate cooking workshops in their homes. While we have not had the chance to attend a workshop, we fell in love with the concept and could not wait to share it with you. We had the opportunity to talk to Mirta, the Argentinian instructor at the League of Kitchens and were blown away by her energy and passion. She described her classes, the Argentine dishes and the cultural and immersive experience she creates. That conversation took us right back to Argentina. We laughed and connected while sharing fond memories of Argentina and the dishes. Now, let’s follow Mirta into her kitchen and discover amazing Argentine dishes. Mirta Rinaldi, originally from Mendoza, Argentina is based in Queens, New York. 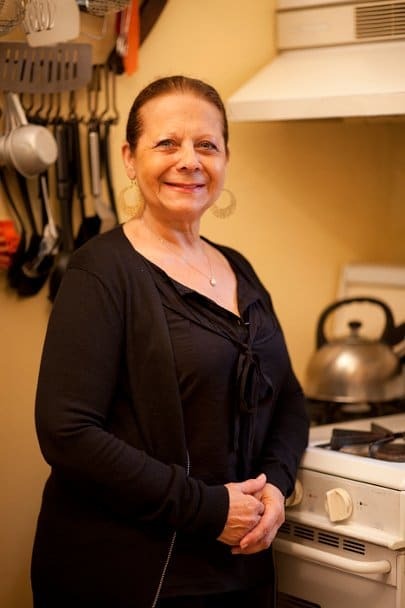 She moved to the U.S. in the 1970s and has many years of experience hosting events and cooking Argentine dishes for large groups as well as family and friends. Food has always been an important part of her life. Mirta told us that she has been with The League for Kitchens for about 2 years. According to Mirta, “mate is our national drink, I compare it to the peace pipe. There is no war on the mate, it is just sharing stories. If drinking alone you are trying to fix the world by yourself”. While Argentina is known for it’s beef, the Argentinian workshop does offer vegetarian options. Whichever menu you choose to go with, rest assured that you will be learning how to prepare the traditional and authentic dishes of Argentina. 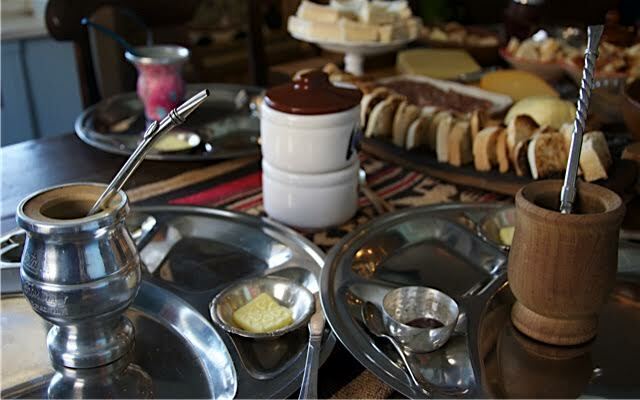 While learning how to cook the Argentine dishes, Mirta will entertain you with stories about the Gaucho culture in Argentina. She will expose you to famous and traditional Argentine singers. You will learn about Tango and as well as make new friends with everyone at the table. At that workshop, you will be transported to Argentina. The most frequent question that workshop participants ask Mirta, is how to prepare beef the right way. Keeping with the theme of summer grilling and how to grill like an Argentinian, here are 5 great tips from Mirta, that you can apply the next time you fire up your grill. 1 – Season the meat with only Sal Parrillera, if you can find it a local or ethnic store. If not, Kosher salt will do. 2 – The barbecue is supposed to be very hot. Put your hand over the grills and count up to 10. If you start burning yourself, then you know the barbecue is hot enough and ready. 3 – Flip the meat only once. Don’t start flipping the meat back and forth because it looses the juices. 4 – Do not use a fork to turn the meat. Use tongs so that the meat doesn’t bleed and keep the juices. 5 – If you like your steak rare, cook until its tenderness replicates the soft part of your own cheek. If you like your beef medium, the tenderness of the meat should feel like the middle of your chin. 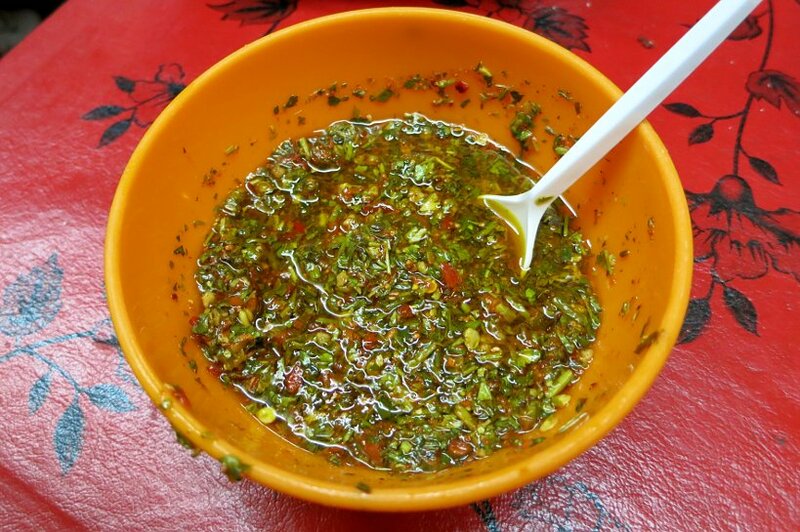 Chimichurri sauce has often been misrepresented in the media. It has been called “Argentinian pesto” or the “ketchup of Argentina.” Argentines will adamantly tell you that this not true. To set the record straight about this Argentine dish, make your own homemade chimichurri sauce using this simple recipe. Contrary to what some people think, chimichurri never includes cilantro, only parsley. It’s a versatile condiment most often served with grilled meats, and may also be used as a marinade. Many Argentinians keep a jar in the refrigerator, and as it ages, the vibrant color mellows; it doesn’t have to be made fresh at each serving. Mince the parsley and garlic in a food processor (mini or regular size). Transfer to a medium or large jar with a lid and add the oregano, red pepper flakes, paprika, salt, and pepper. Pour in the vinegar and oil, screw on the lid, and shake well. As the herbs soak in the oil the sauce will get more flavorful. Chimichurri keeps in the refrigerator for about 2 weeks, or 6 months in the freezer. If you are taking a trip to New York City, join Mirta at The League of Kitchen and immerse yourself in Argentinian cooking and culture. Argentinians are really friendly people. We love to share our culture. If you talk to an Argentine and they like you. They will say…come..come and let’s share a meal. If you are invited to a barbecue, it is the best expression of the idea ‘you are welcome into my home’. We do everything around food. A barbecue for Argentinians, is gathering people together and sharing. In any conversation there is always food. Everything is around the table. From our experience in Argentina, we felt this love and warmth. We connected with locals over Argentine dishes. We were welcomed into Argentina and into the hearts and homes of Argentinians. 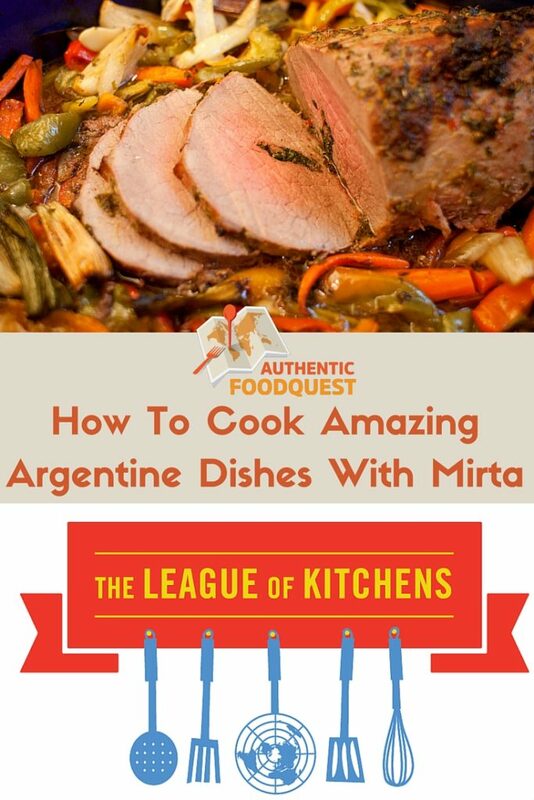 If your travels do not take you to Argentina, we invite you to cook Argentine dishes with Mirta at the League of Kitchens. Have you been to Argentina? 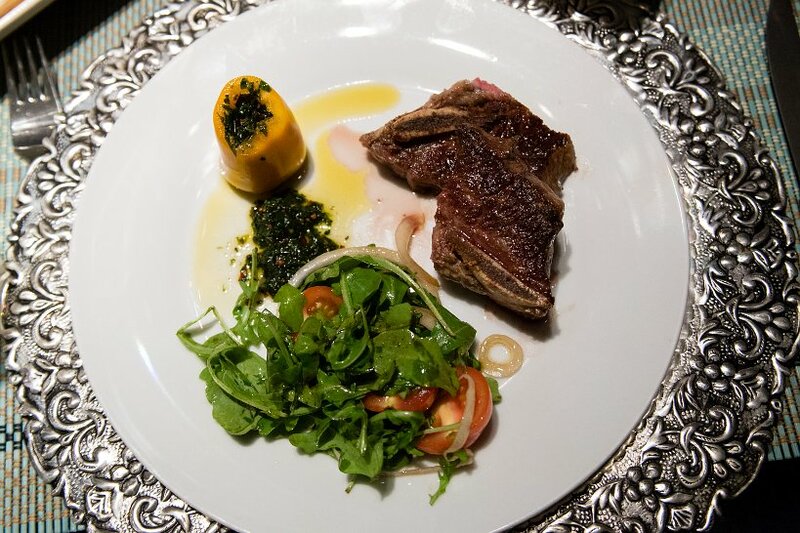 Did you experience the Argentine warmth and love around food? Tell us in the comments below. 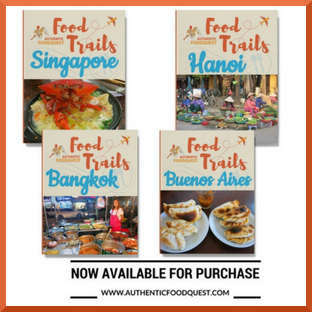 Don’t forget to sign up for our monthly newsletter here and get your free ebook on The 5 Best Ways to Find Authentic Food While Traveling. I have incredible memories of Argentinian steak on a brief trip over from Brazil. Best meal of my life! You are so right Anne, the beef in Argentina is incredible and outstanding. 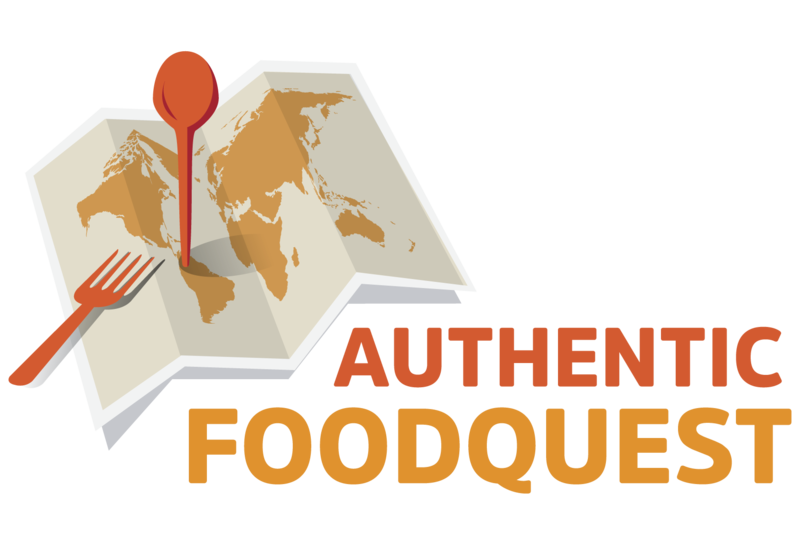 If you find yourself in New York, check out The League of Kitchens for an authentic experience. Thanks so much. It is always great to get home-cooking tips from locals. 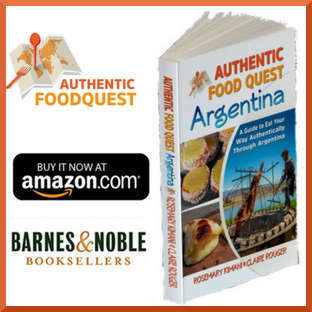 I loved the food in Argentina and will keep Mirta’s pointers in mind when firing up the grill to cook a steak! You’re right Ericka, the locals always have the best cooking tips. Do let us know what difference the tips make the next time you grill. Thanks for your comments. Yum… I love Argentine food and Chimichurri is delicious. The League of Kitchens concept is awesome I would love to learn different cooking styles from around the globe by cooking with immigrants right in their homes. When we visit NYC I am definitely going to try this out. Hi Rob, so glad you enjoyed learning about The League of Kitchens. Do let us know what cooking class you end up taking the next time you are in NYC. You are totally right, Argentine food is amazing!! Thanks for your comments. Ohhh! Thank you for the recipe for chimichuri! I am absolutely in love with the flavors-will try this at home! Beautiful post!!! I love grilled meat and can’t wait to try this tips and do it Argentinian style! Thanks for the share! Hi Marlene, we are so happy you enjoyed reading the post. Please let us know what tips you end up applying when you barbecue next. We appreciate your comments. Yum! Sounds like a fantastic meal! The Chimichurri sauce would be delicious. I always love finding cooking classes and learning new ways of cooking. What a cool experience–I’d love to try it sometime! 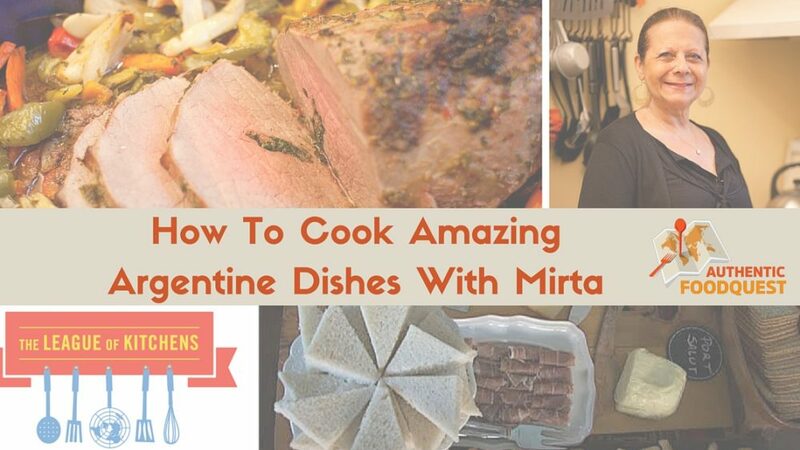 Hi Jenna, indeed cooking with Mirta and learning about Argentine cuisine is a real treat. What’s great about The League of Kitchens concept is that it takes place in the home of the instructor. What a cool idea for a cooking class. Try the chimichurri sauce, it’s quite easy to make and delicious. Give it a shot and let us know how it turns out. Thanks for your comments. I love learning to cook from people from the region. They have the best recipes and know what they are talking about. I need to make me some of this sauce. Thanks Jennifer for your comment. It’s true the locals know the best recipes and ways to prepare the local dishes. Give the Chimichurri sauce a try. It’s pretty easy to make. Cheers. Glad you liked the tip about not using a fork to turn the meat. It is those little things that make a big difference 🙂 Yes, with Mirta, you get more than just learning about the food, you get a whole culinary immersion as well 🙂 Thanks Tandy. Sounds like it was a great class. Thanks for sharing those tips about cooking beef. I love what she used to compare a rare & medium steak’s softness. Will have to try that trick soon. The tips from Mirta are indeed precious. It is those little details that make all the difference to the taste of the beef. Try the tips and let us know what you think. Thanks for your comments. My sister and I run a culinary tour company in Jamaica (Jamaica Culinary Tours), and it is our dream to launch into cooking classes for visitors to our island. I absolutely agree that the best way to introduce others to your culture is through food, and when it’s in a kitchen preparing delicious and authentic dishes, the immersion is even richer! Congrats to the League of Kitchens – you can be sure we will be looking you up on our next visit to New York! That’s awesome Janet, do indeed visit the League of Kitchens the next time you are in New York. Agree it is a fantastic concept and a wonderful way to introduce tourists to Jamaica. We appreciate your comments, thank you! I love this idea of learning to eat with immigrants. 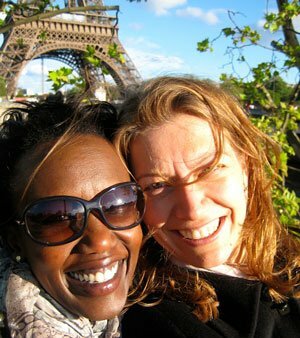 It’s a way to experience the world without the jetlag and sharing a kitchen is more than special. I hope it’s a great success. You are exactly right Elaine, no need to travel far for a cooking class when you can have the local experience with the League of Kitchens. Thanks for your comments! I love cooking and one of my favorite things to do(should a be able to afford you find one) is take a local cooking workshop when travelling. It is just so fun to learn different styles of cooking! You are so right, taking a local cooking class when traveling is so much fun. The good thing about The League of Kitchens, is that if you are in New York,you don’t need to travel far for a cooking class. You simply cross town and enjoy an authentic and immersive cooking experience with local immigrants. As much fun as well. Thanks for your comments! My step sister lived in Argentina for a bit and LOVED it. She always talks about who good the food was so this is a really great post to pass on to her! That’s wonderful Taylor, please do share this post with her. The food in Argentina is truly quite unique and incredibly delicious. Have you eaten Argentinian food yourself? We appreciate you sharing the article. Thanks! I can’t believe I have never tried Argentinian food! I mean I have had mate and churasco in Brazil, which borrows a lot from Argentina. Even some Brazilian friends told me that it is better to go to a steak house in Argentina. This class sounds so educational and the food looks amazing! Hi Chantell, it sounds like a trip to Argentina or eating Argentine food should be on the list 🙂 Hope you can enjoy this delicious food sometime soon. Thanks for your comments. Amazing! I love the focus of your blog and this is a fun post with great photos and information! Thanks so much! You are most welcome Briana. So glad you enjoyed the blog and this post. Appreciate it. This is so wonderful to hear Jennifer. Many vegetarians and vegans travelers have a misconception about finding food that meet their dietary needs in Argentina. Yes, there are many options in Argentina and the vegan empanadas is a great authentic option. Thanks so much for your comments. I have heard of the League of Kitchens and thought it sounded really cool! Such a bummer I didn’t take advantage when I lived in Queens! 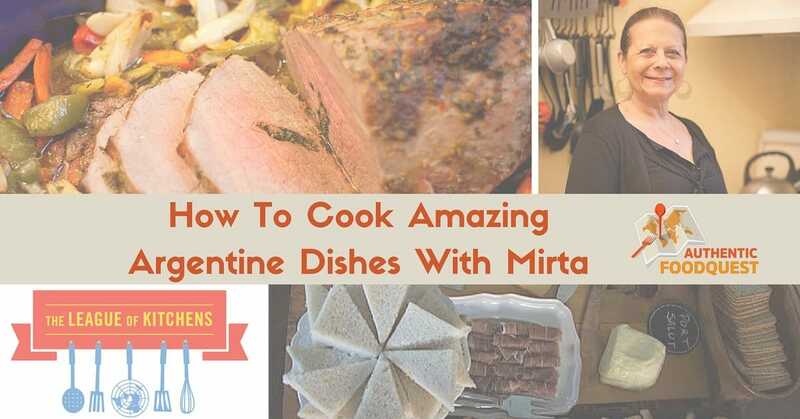 These recipes look absolutely delicious, and it looks like you had a ton of fun with Mirta. Hi Eva, that’s too bad that you missed the concept when you were living in Queens. At least you can go back the next time your back in the area 🙂 The instructors at the League of Kitchens are carefully selected and they ensure everyone has a great time – both cooking and learning. Do let us know if you end up taking a class on your next trip to Queens. I’ve been traveling nonstop for the past 4 months and will be moving to New Zealand in a few days. The one thing that excites me most is the fact that I will be reunited with an oven and will have a kitchen again…AND I’M TOTALLY GOING TO TRY TO MAKE THIS CHIMICHURRI SAUCE. Thank you. Loved these photos and totally jealous of this experience! Thanks for sharing! Good luck on your move Laura. Know what you mean about having a kitchen and oven easily accessible 🙂 The chimichurri sauce is so easy to make and it is a wonderful addition to your dishes. Give it a shot and let us know. Thanks for your comments. Each time I read your posts, I’m amazed at how easily you’re submerged in a culture by cooking and eathing! You truly find the best experiences with the locals. Love it. That’s great to hear Julie 🙂 What dish particularly appealed to you? Cheers!